Number 5 Type Collection: Poll wrap-up: Do you collect big cards? Poll wrap-up: Do you collect big cards? 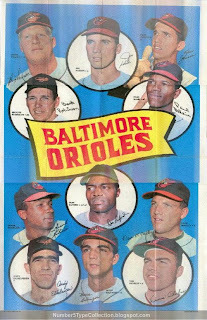 My collection's largest "card" remains 1969 Topps Team Poster #5, Baltimore Orioles, at 16" x 20". Fortunately, it folds down to 9-card pocket size! 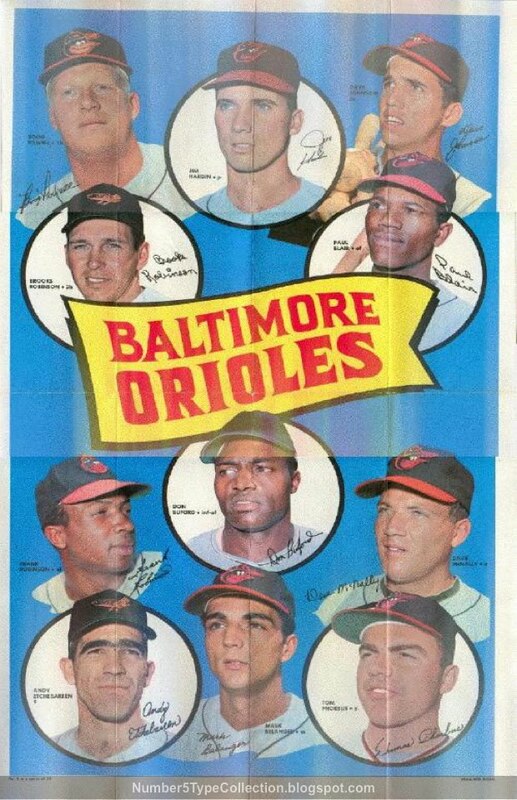 That O's poster is really sweet! I like oversized cards as much as a I like minis... Larger cards seem to be cheaper and easy to get. 1964 Topps Giants is my current fav oversized set. To give you an example, I paid $12 for the '64 Mickey Mantle from that set in ex-mt+ condition. The standard sized Mantle in similar condition would be a mortgage payment. Excellent point, PLUS the Giant Mantle is one of his best portrait shots! Voted for The Wizard in your SS poll, BTW, but I like that Honus Wagner is leading the way. It made me wonder--would any casual fans pick him? Just historians and card collectors? Poll: Do you collect big cards?